There is no doubt that royals take education very seriously. And like most people in the UK, their scholarly journey starts with nursery school at the early age of two and a half years and ends with the university. 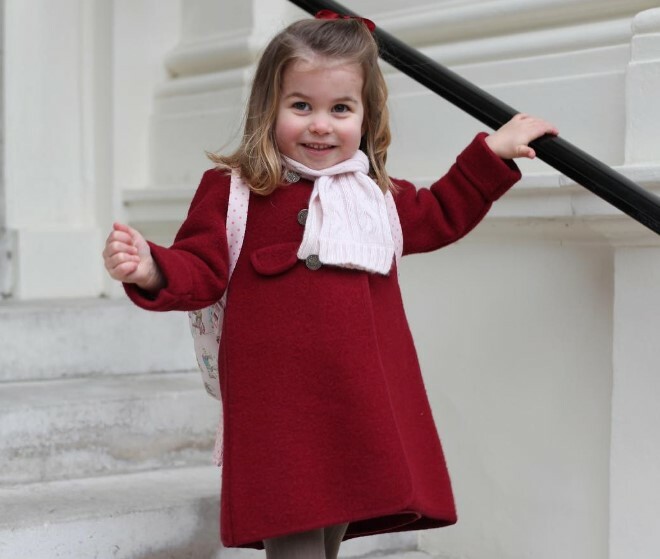 Princess Charlotte of Cambridge has already begun the path of knowledge since she had her first academic day last year. However, when you are a blue-blood member, there's so much more you have to learn. Heirs to the throne receive some particular extra-curricular instruction from a very early age to prepare them for their future duties and royal engagements. 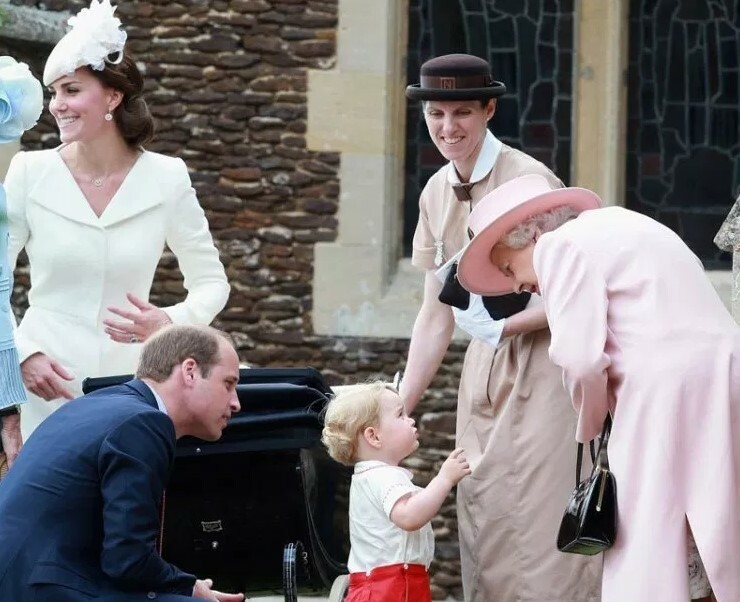 And it seems that Charlotte has already mastered the art of public greeting. 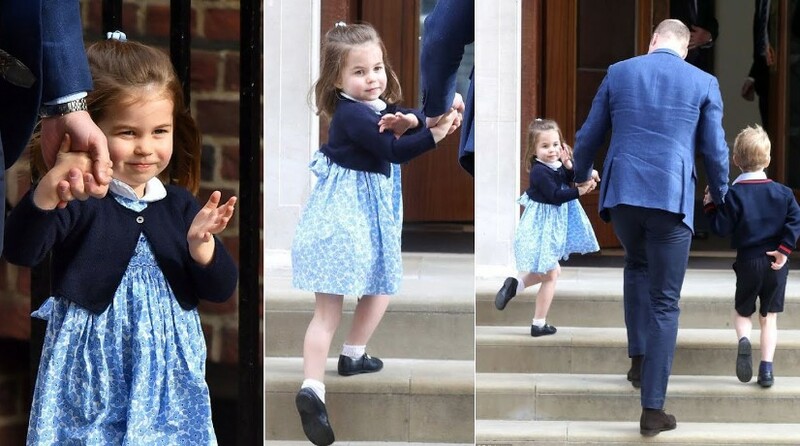 Today, we'll get to learn everything about the three-year-old Princess' education, including an adorable royal move she is already an expert at. Let's get the ball of knowledge rolling! As per tradition, highborn members started the nursery stage at home with the help of a governess. So did Prince Charles when he received early instruction from Catherine Peebles, and then his younger siblings also followed suit. However, in the 80s, times changed. Princess Diana decided to twist things when it came to the education of her sons. William and Harry thus became the first generation in the British family to attend nursery school, according to Town & Country. In 1985, William began his studies at Mrs. Mynor at the age of three, and two years later, Harry also attended the same institution. Some years down the road, precisely in January 2018, we got to see Prince William's only daughter heading her new institution for her first day at the age of two and a half. The chosen one was Willcocks Nursery School, a program with a $12,000 yearly tuition that is close to Kensington Palace. By the same source's report, the institute describes itself as a "traditional nursery school which strives to maintain its ethos for high standards, excellence, and good manners". 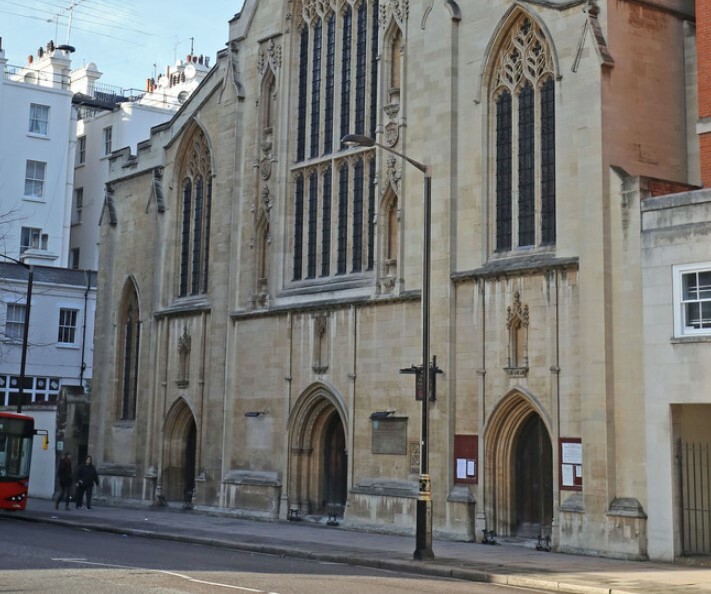 Founded in 1964, it is located in central London and is described as outstanding institution where kids make excellent progress, Harper's Bazaar indicated. 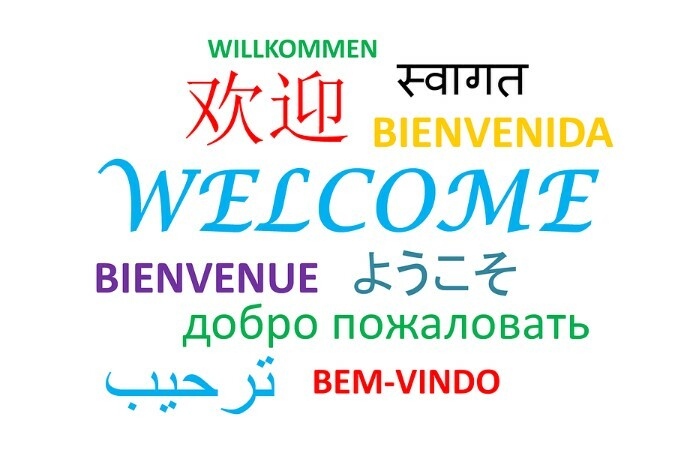 Part of being a well-prepared royal is to learn multiple languages to carry noble duties effectively. After all, royalty needs to meet with dignitaries and influential people from across the globe. According to The Telegraph, the Queen is renowned for her excellent French. Meanwhile, Prince Charles once spoke a message in five different languages. Moreover, Prince Harry was heard speaking Arabic while in Dubai. 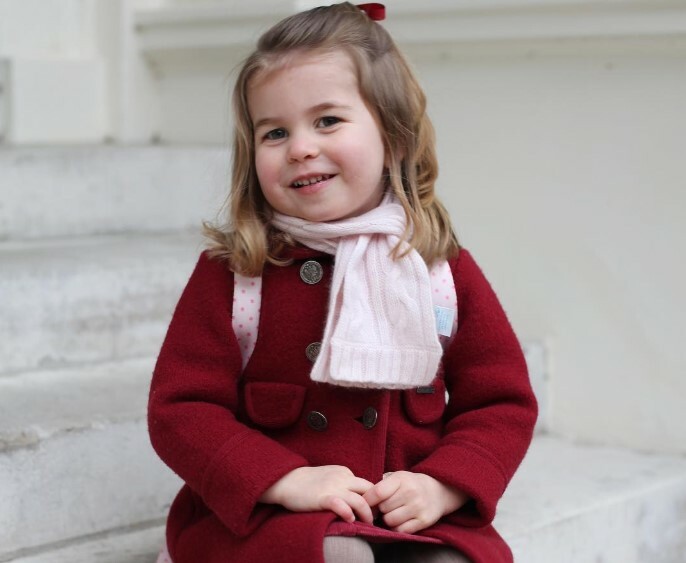 Princess Charlotte is not lagging behind as Independent reported that she is already bilingual at the age of three. The source asserted that she has been learning Spanish since she was only two with her Spain native babysitter, Maria Turrion Borrallo. And now, she is already chatting in the language. It's very likely that just like her family members' skills, her language abilities will become better in in the future with more linguistic studies. As we previously said, the learning process of a blue-blood member does not end at the lecture hall of a university. There is so much more they have to master as part of royalty. Town & Country explained that senior members go through training with the SAS (Special Air Services) so that they learn how to deal with hazardous circumstances. Moreover, they get to learn about tactical driving through a specialized course that aims at teaching them how to get out of problems when facing a hostile situation. We can also add to the list instruction about public speaking, international relations, constitutional history, and so much more. Okay, we know that Charlotte is only three, and she will learn all those subjects in the long run. However, that doesn't mean she's wasting her time to take in important things. Part of being royalty means having contact with the public, and it all comes down to the way you greet. "The arm should extend upwards at a right angle, and the hand then moves from side to side in gentle, right-left motions." 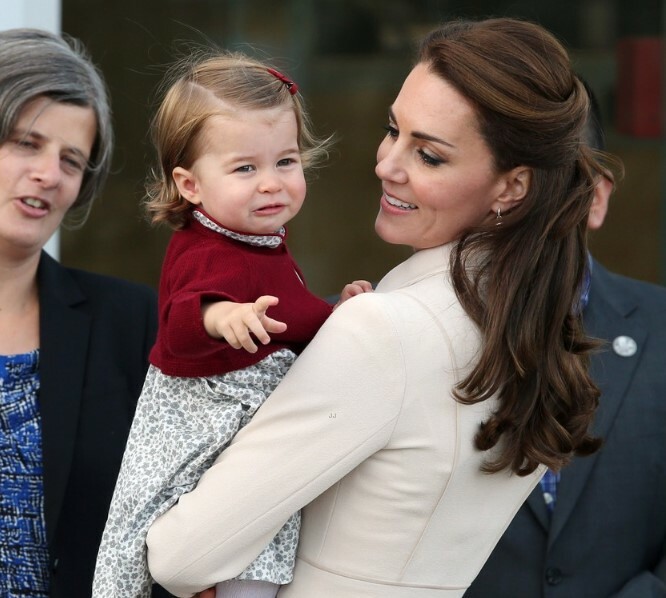 Express reported that the first time Charlotte was seen waving like a Windsor was when she was only one year old. She joined her mom, dad, and older brother on a royal visit to Canada. 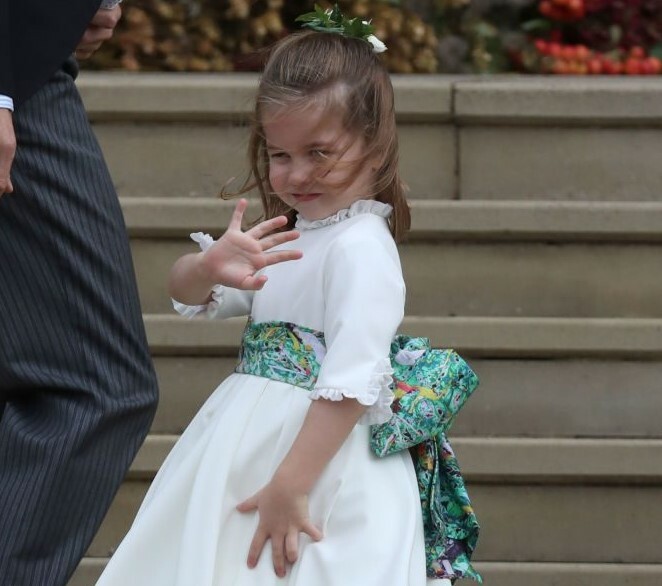 As soon as the Cambridge family got off the plane in Victoria, British Columbia's capital, the adorable toddler got the hang of the move by emulating her mom. But now that the Princess is a big girl, she has learned how to enhance the Windsor greeting with another move. Cameras have caught her turning and giving an over-the-shoulder wave, which could not be any cuter. Per CheatSheet's report, the first time she was spotted doing it was when welcoming her younger bro to the world. Last April, the world celebrated Prince Louis' birth, and following the moment, Prince William went to St. Mary's Hospital with his two eldest children. It was then when we got to see the little Princess turning and waving over her shoulder to greet some well-wishers that were gathered at the health center. And since then, it has become Charlotte's signature move. Following Louis' birth, she did it again when climbing the steps of St. George’s Chapel at Windsor Castle for Prince Harry and Meghan's wedding in May. While she was with other members of the bridal party, she turned back and threw a wave like a pro to the crowd congregated outside the church. And once more, a similar moment took place in October last year for Princess Eugenie and Jack Brooksbank's big day. Despite the windy weather that day, which made things harder for Kate's daughter, she managed to swing and wave to fans. So, did Charlotte take an early course to learn how to that in such a gracious and adorable way when she is out in public? Not exactly, but she did learn it from another member of the royal household. And we have recently discovered who that person is. Earlier this month, Kate Middleton attended a royal event to announced as the patron of the Foundling Museum. But before entering the facility, the Duchess turned around and showed off her Windsor move to reporters who were eagerly waiting to get a glimpse of her. And she did it just like her daughter! No one has to be an expert to safely assume that Charlotte learned the gesture from no other than her mommy. It is impossible not to notice the similarities between them! Kate and her little girl truly honor the saying "like mother, like daughter," don't you think so? 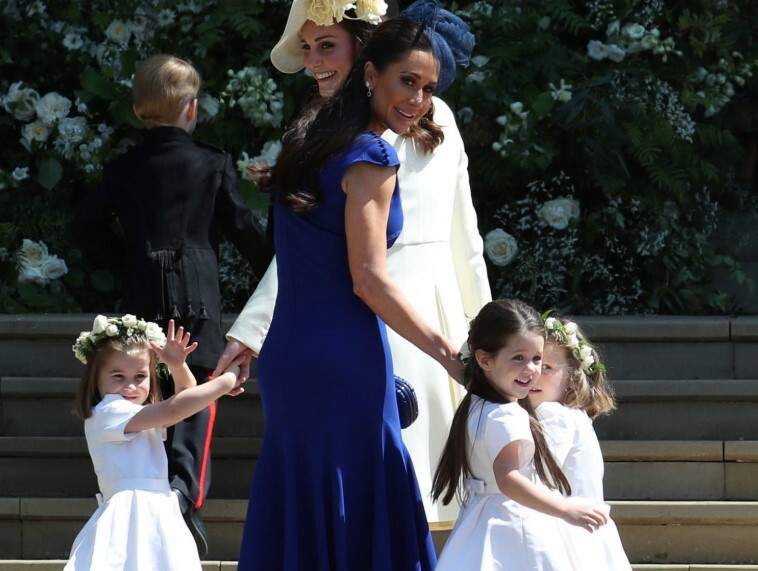 Although we are not sure whether the little Princess was officially taught the move or she just picked her from her mother, we're pretty sure she'll be a pro in many royal aspects before reaching puberty. After all, it is said that education starts at home, right? What do you think about all the things that Princess Charlotte of Cambridge has learned so far? Is it a bit too much for a three-year-old girl? Give us your valuable opinion in the comment section, but also check more articles about royals that we have especially prepared for you. Till next time!